I thought it would be very helpful to create a resources page where you can access all the stuff that has helped me and my clients all in one place. On here you will only find things that are educational, lifestyle and fitness related. Disclosure: Please note that some of the links below are affiliate links, and at no additional cost to you, I will earn a commission if you decide to buy. Please understand that I have experience with all of these companies, and I recommend them because they are helpful and useful, not because of the small commission I make if you decide to buy something. Please do not spend any money on these products unless you feel you need them or that they will help you achieve your goals. Lean in 15 – The Shape Plan: 15 minutes meals with workouts to build a strong, lean body: A good place to start if you are looking to make a lifestyle change, offering healthy and nutritionally balanced meals. Joe Wicks’ first book in his series of healthy meals and workouts to help you shift your stubborn fat and get you exercising. Lean in 15 – The Shift Plan: 15 minutes meals and workouts to keep you lean and healthy: Joe Wicks’ second book in his series of healthy meals and workouts to keep you lean and healthy. Olympic Cookbook: Ainsley Harriott and the British Olympic Team have joined forces to bring you 50 of their favourite healthy recipes that help keep them fit and bursting with energy. Looking for a cookbook that breaks down each meal into macros and calories, then this is the book for you. A no-nonsense, back to basics approach to weight loss and balanced, normal, healthy eating, containing affordable, achievable tips on: nutrition basics, tips for cooking at home, eating out and social occasions; satisfying, delicious recipes for family meals. Suitable for all ages and dietary requirements. I also had the priviledge of doing an epsiode of my podcast with Polly. Imagine your life inside a healthy body. No doctor’s appointments. No health limitations. Imagine your body to return into shape that is healthiest for it. Without your willpower. Otakara Klettke shares in her book Hear Your Body Whisper, How to Unlock Your Self-Healing Mechanism how she has learned to communicate with her body. From a sick childhood and constant health limitations, the author spent first 20 years of her life often being bound to a hospital or home in bed. When she slowly discovered that there is a way to communicate with her body her life turned around. Hear Your Body Whisper is a result of obsessive research, personal experience, and rediscovering the connection between our body and mind that naturally exists in every one of us. I also had the priviledge of doing an epsiode of my podcast with Otakara. Achieve more with less effort: The secret to weight loss, fitness, and wellness lies in the most basic and most overlooked function of your body—how you breathe. One of the biggest obstacles to better health and fitness is a rarely identified problem: chronic over-breathing. We often take many more breaths than we need—without realizing it—contributing to poor health and fitness, including a host of disorders, from anxiety and asthma to insomnia and heart problems. I also had the priviledge of doing an epsiode of my podcast with Patrick. Greg Whyte learnt from an early age that the biggest obstacle in life was people telling him ‘No, you can’t’. But we all have the ability to achieve what others may tell you is impossible. Don’t listen to them. Success is not a chance event. With proper planning, preparation and vision, Professor Whyte has the knowledge and methods that can turn the ordinary into the extraordinary, mortals into elite athletes, to deliver not dream. I also had the priviledge of doing an epsiode of my podcast with Greg. Mental toughness is simple—it is just not easy. We will face adversity and pressure moments. We are preparing for the hinge—the one moment, person, or event that will make the difference in our lives and it only takes one. However, fear can be crippling, and it is the biggest obstacle to mental toughness. Everything we want is on the other side of that fear. I also had the priviledge of doing an epsiode of my podcast with Rob. You have no idea the results of your actions, but if you take no action, there will be no results. Imagine that you will have the opportunity to improve two lives with one simple action. Your own attitude and outlook on life can instantly change because the miracle is that you cannot help someone else without helping yourself as well. Life is meant to be lived fully. Unfortunately, too many allow life to live them, and as a result, success is out of reach. A fully engaged life always begins in the mind, impacting thoughts, feelings, and actions to create the pathways and habits responsible for success. Elite competitors start with a purpose-driven mental approach to their success, so much so that it becomes their identity – their Manifesto. The MindSide Manifesto dives into the factors that often rob athletes, coaches, and leaders of their ability to live and compete to their full intent. By exploring the traps that commonly limit success and developing your focused, driven mindset, dreams become reality. I also had the priviledge of doing an epsiode of my podcast with Bhrett. Dr. Denise shares how our thoughts, feelings, and actions coupled with our DNA determine our sense of happiness and wellbeing. We hope this ebook will inspire you to embrace your mental wellness and take a new stand for your mental health – feeling empowered and strong no matter what challenge you or your loved ones are faced with right now in your life. I also had the priviledge of doing an epsiode of my podcast with Denise. This appealing, accessible reference volume enables readers to easily understand what creates and constitutes stress—an unavoidable part of modern life—and learn about the psychology behind relaxation. I also had the priviledge of doing an epsiode of my podcast wi Christine. Choosing nutritional supplements can be tough. There’s so much information available out there, and much of it is published by people who are biased in one direction or another. I have used the products below with all my clients and have done all the extensive research to know they are credible. You may have heard a lot about Omega-3’s in the news and fish oil being the key source. There’s a tonne of very positive research on it, fish has been shown to be great for fat loss, mood and motivation. 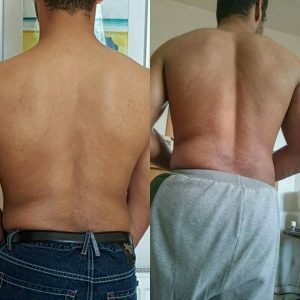 It’s a key resource for clearing up inflammation in the body as you can see from the pictures below the progression after just a few weeks of use. Furthermore the UK government guideline of 1-2 portions of oily fish a week just isn’t enough. This is a before and after picture of me, having taken fish oil tablets for just 3 weeks. You can already start to see that some of the inflammation is starting to go down. I would recommend you choosing an omega 3 brand from the list below. Choosing the right dosage is key, use 1 gram of fish oil per every percentage of body fats, i.e. : if your 20% body fat you should take 20 grams or 30% you should take 30 grams, however, these are just guidelines. The modern diet can often lead to small deficiencies in certain vitamins and minerals. These deficiencies can and will in most situations slow your metabolism and impair your ability to burn fat. A good multivitamin can help fix this problem, here are a few tips for choosing a good one for you. Choosing a multivitamin can be confusing, there are so many companies, so keep it simple, is my advice. Any multivitamin is better than nothing, even superstore brands can be a good start. Choose the right dose, as it’s important not to overdose on vitamins, as some of them (particularly the fat-soluble vitamins: A, D, E, K) can build up to toxic levels within the body. I believe protein powder is not really necessary if you get enough protein from the food you eat, like lean meats such as chicken, turkey and from other sources such as fish or nuts. However, I find most clients find it difficult to fit all their protein needs in. Therefore, high-quality protein can be very helpful, so here are some of my tips for getting the most out of your protein supplementation. Nowadays, protein powders are taken from all types of food sources: dairy, eggs, soy and a host of plant sources and actually taste quite good. If you have a lactose intolerant, an allergy to milk or choose to follow a plant-based diet, you can pick the right product for your unique needs. The key, however, is to choose simple products, without too many additional ingredients. Furthermore, the brands recommended below are batched tested and certified by Informed-Sport. If you eat enough vegetables, a greens supplement might not be entirely necessary. However, most people simply don’t eat enough vegetables and are missing out on the micronutrients they contain: many of which help you lose fat either directly or indirectly. A greens supplement can come in handy here, below are some tips for choosing the right one. Personally, I use all of these supplements and they are also what I have my clients use, but only if I feel it’s needed in relation to their goals. You could easily use any of these by being a part time supplement user. For i.e. : for a quick lunch you might have a protein shake on the go, or top up on your greens if you’re working late. When your busy, food prep can be a godsend, I regularly do it on a Sunday saving me about 5 hours during the week while making sure I’m not going to make bad decisions of going down the fast food route. What I like most about these is that the portions are a great baseline –proteins, vegetables and fats are the foundations of a healthy mind and body. The protein should make up the biggest compartment, the next being the vegetables, and the smallest one being fats. I’m a big fan of smoothies, I’ll mix and match between having an easy smoothie breakfast or a cooked one. When I’m finished I’ll top up my water so I’ll have close to half a litre drank on my way to work. This helps set my metabolism up for the day while aiding the absorption of nutrients. This one from PhD is a bargain, and doesn’t leak all over your car! A quick and easy way to get your nutrients in, a good blender to wiz up smoothies is a nice way to keep things ticking over, i.e. being adding additional fruit or vegetable to your diet. The one I use and would recommend is the Nutribullet. Kilner jars come in handy for anything, be in for storage like oats or herbs or alternatively to leave milk or yoghurt overnight in the fridge as is easy to trap on the go the next morning. Also if you are storing things over a long period of time in these as opposed to in plastic it will stop your things from becoming toxic. Using a slow cooker is a great way to prepare nutritious food and a great time saver. 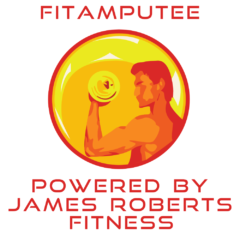 Recovery, Prevent Injury, Improve Performance, Pain Relief, Effective Electrostimulation, Tones Your Muscles, Training, Minimum Exercise, Helps Sculpt Your Body.